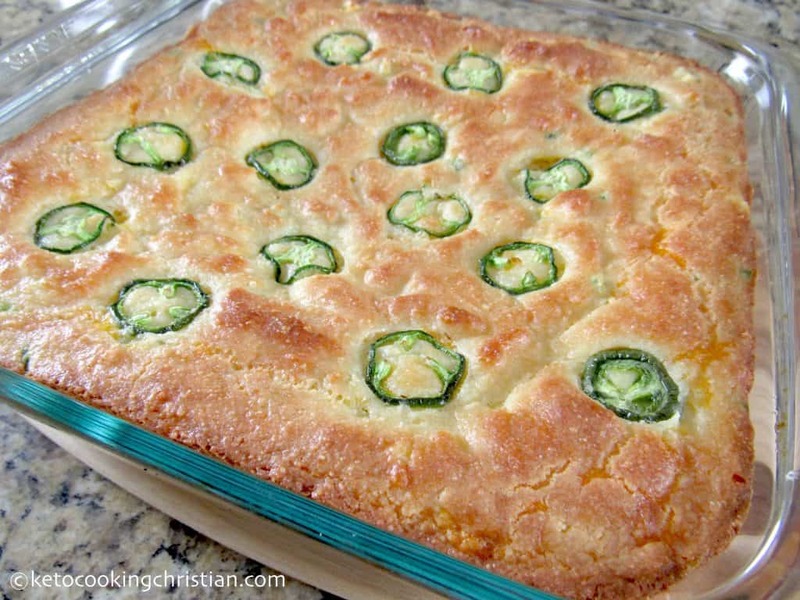 Light and fluffy Low Carb and Keto friendly version of cornbread with cheddar cheese and fresh chopped jalapeño peppers! 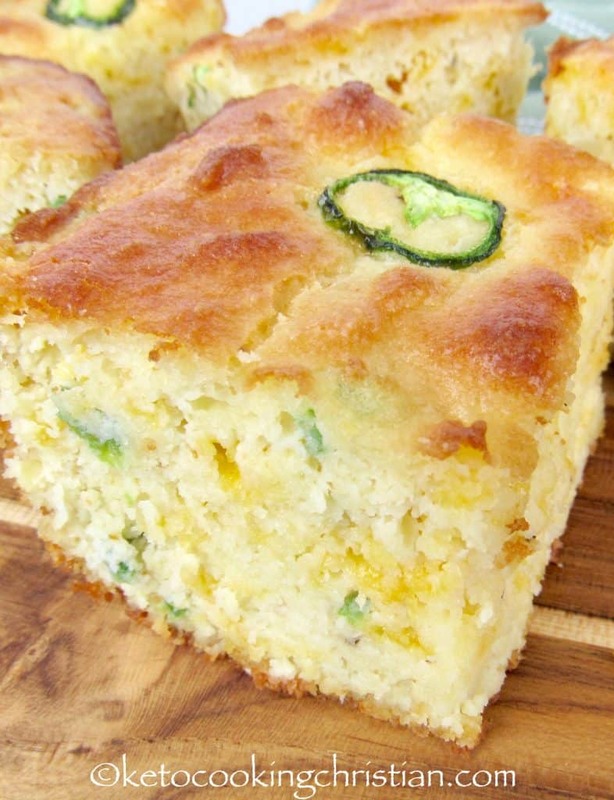 This Cheddar Jalapeño bread tastes a lot like cornbread, but comes with zero guilt! Now of course there is no cornmeal in this bread, since it’s not low carb/Keto friendly, so it does have it’s limitations! 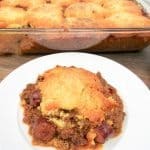 So how do you make a low carb version of cornbread without cornmeal? Regular corn, also not low carb/Keto friendly, has way too many carbs and sugar to use. Baby corn, on the other is prematurely harvested before it’s pollinated, and doesn’t have nearly as many carbs or sugar as adult corn and has a lot more fiber! 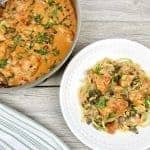 Baby corn has only 4 net carbs for the 1/2 cup used in this entire recipe, verses 15 net carbs for regular adult corn. Consequently, it has a milder flavor, which I’ve found is just enough for this recipe. You can of course omit the corn if you’d like, but because it adds such great texture, I recommend leaving it in. The jalapeño gives it a little spicy kick and the cheddar brings it all home! 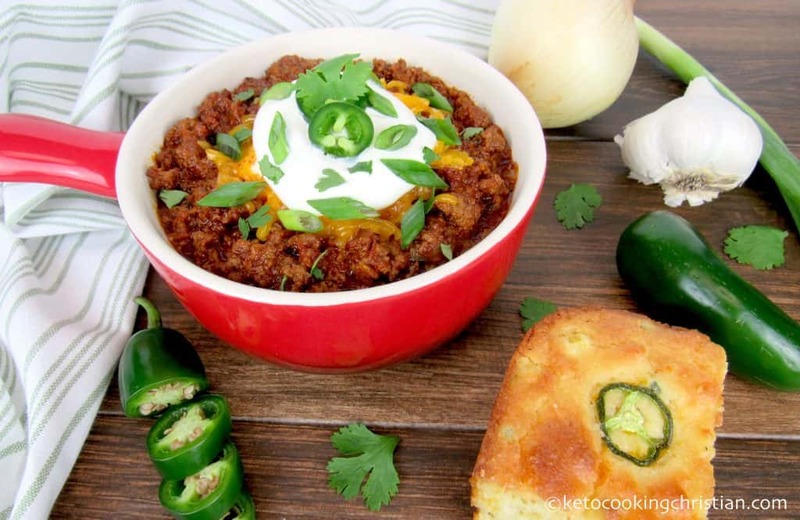 I serve this bread with my Instant Pot No-Bean Chili, and I cannot tell you how well the two go together! Truly a match made in food heaven and something you simply must try to appreciate! Both are incredibly easy to make, in fact you can make this bread while the chili is cooking, which is exactly what I did. This combination does not disappoint!! 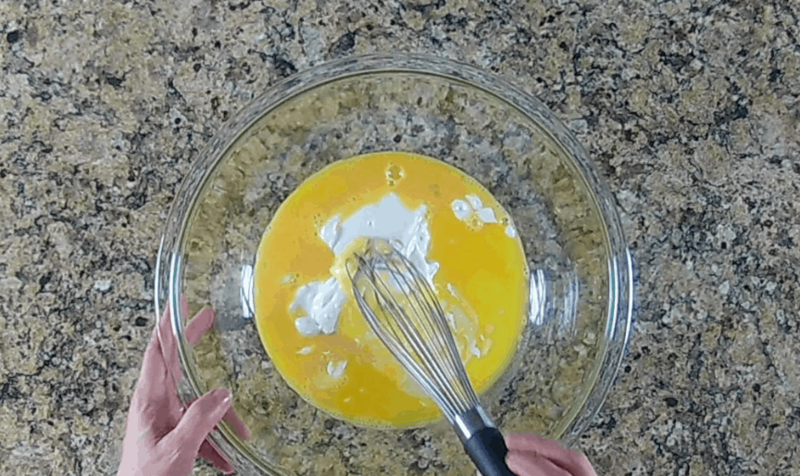 In a separate bowl, add the eggs, sour cream, swerve and butter, then mix to combine. Add in the jalapeño peppers, cheddar cheese and baby corn. Pour the mixture into an 8 X 8 glass or ceramic baking dish that’s been sprayed with nonstick spray. Optional: Top with the thinly sliced jalapeño pepper rings. Bake for 40-45 minutes or until a toothpick, when inserted, comes out clean. 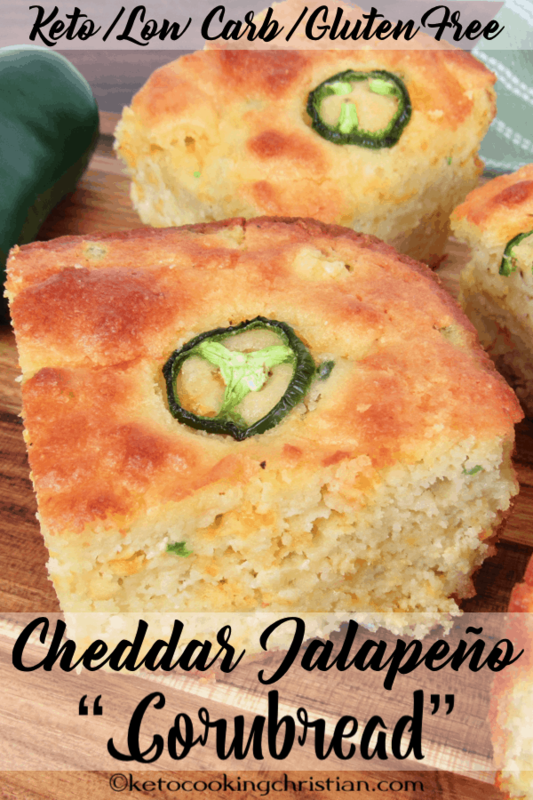 This Jalapeño Cheddar “Cornbread” goes perfectly with my Instant Pot No-Bean Chili! Note: If you’re not comfortable adding the baby corn despite it only containing 4 net carbs for the entire recipe, you can certainly omit it and just adjust the macros accordingly. The Oat Fiber is really important in this recipe! 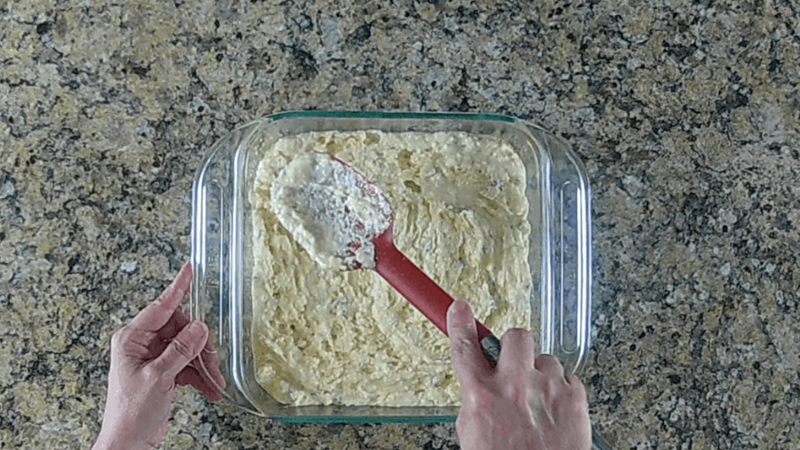 I use it in so many recipes, because of the amazing texture it gives whatever I am baking! It is hands down, the best ingredient I’ve baked with and is really worth buying. I use Lifesource Foods Oat Fiber 500 because they grind it to a very fine powder and has a mild flavor. I buy it in the 16 ounce bag here. The bag lasts a while, because you don’t need to use much in your recipes. Oat Fiber, is not the same as Oat Flour, which is made from grinding oats. Oat Fiber is made from grinding the outside husks of oats and is pure insoluble fiber. Insoluble fibers do not dissolve in water and are not broken down in the digestive tract. 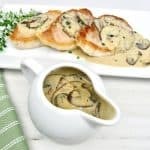 So it’s low carb and Keto friendly! 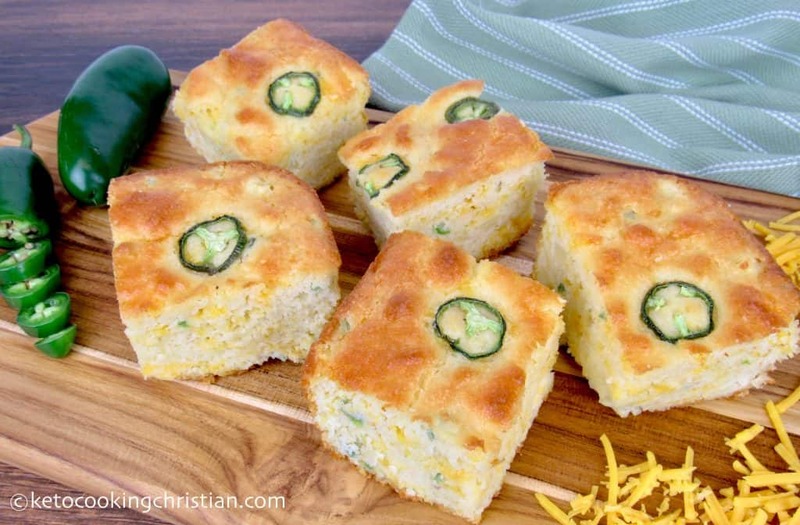 This Cheddar Jalapeño bread tastes a lot like cornbread, but comes with zero guilt! 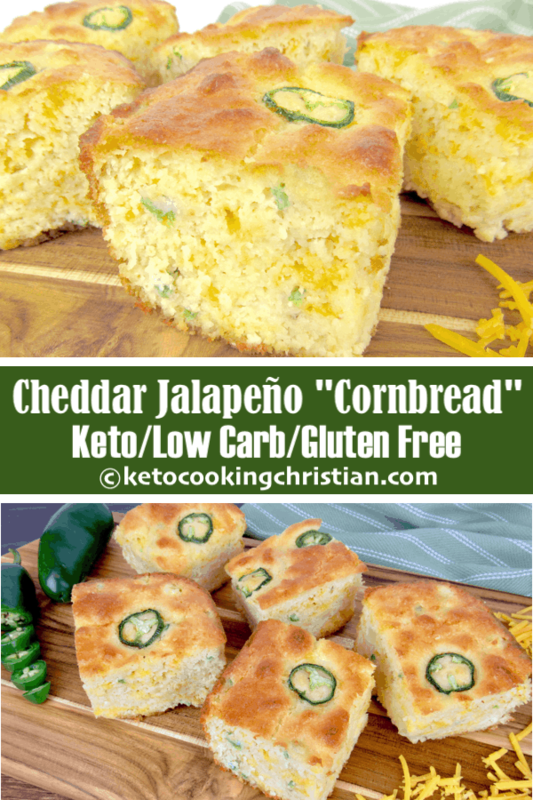 Now of course there is no cornmeal in this bread, since it's not low carb/Keto friendly, so it does have it's limitations! 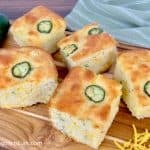 So how do you make a low carb version of cornbread without cornmeal? Regular corn, also not low carb/Keto friendly, has way too many carbs and sugar to use. Baby corn, on the other is prematurely harvested before it's pollinated, and doesn't have nearly as many carbs or sugar as adult corn and has a lot more fiber! 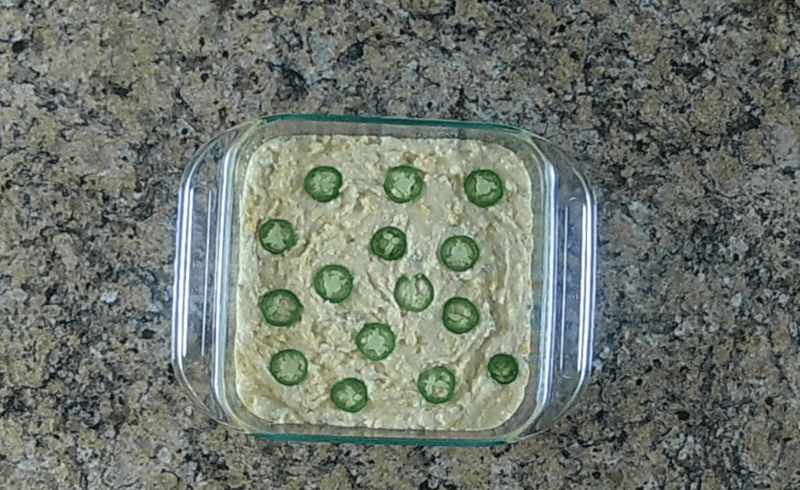 Baby corn has only 4 net carbs for the 1/2 cup used in this entire recipe, verses 15 net carbs for regular adult corn. Consequently, it has a milder flavor, which I've found is just enough for this recipe. You can of course omit the corn if you'd like, but because it adds such great texture, I recommend leaving it in. The jalapeño gives it a little spicy kick and the cheddar brings it all home! 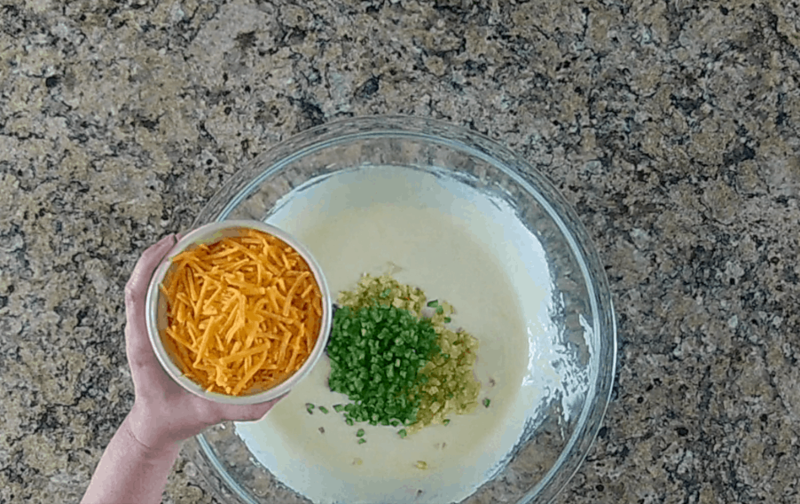 Mix all the dry ingredients together in a bowl and set aside. 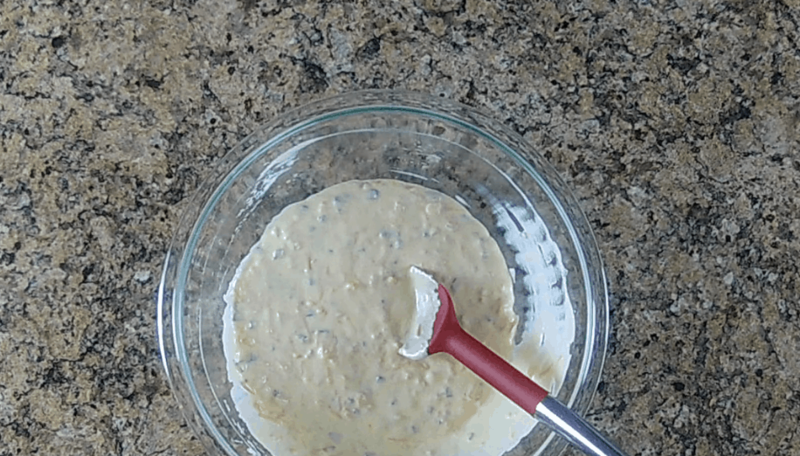 In a separate bowl, add the eggs, sour cream, swerve and butter, then mix to combine. Add in the jalapeño peppers, cheddar cheese and baby corn. 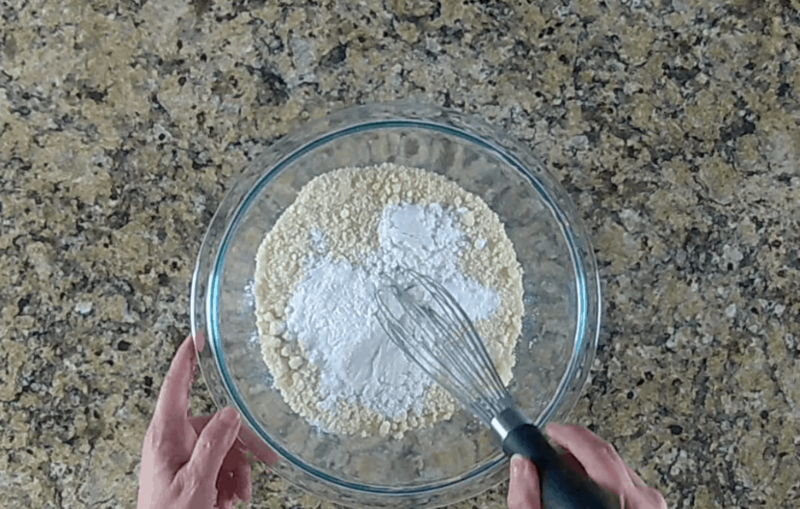 Mix in the dry ingredients, just until combined. Pour the mixture into an 8 X 8 glass or ceramic baking dish that's been sprayed with nonstick spray. Optional: Top with the thinly sliced jalapeño pepper rings. Bake for 40-45 minutes or until a toothpick, when inserted, comes out clean. 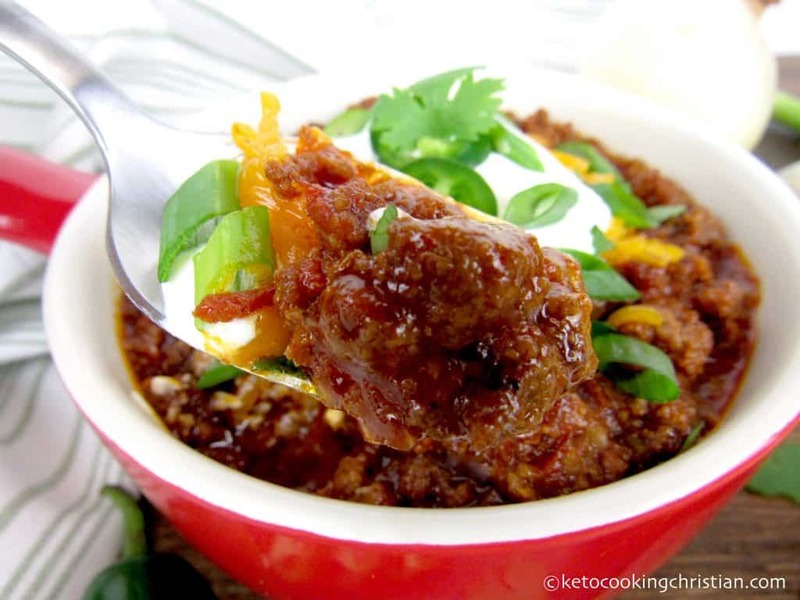 If you're not comfortable adding the baby corn despite it only containing 4 net carbs for the entire recipe, you can certainly omit it and just adjust the macros accordingly. The Oat Fiber is really important in this recipe. 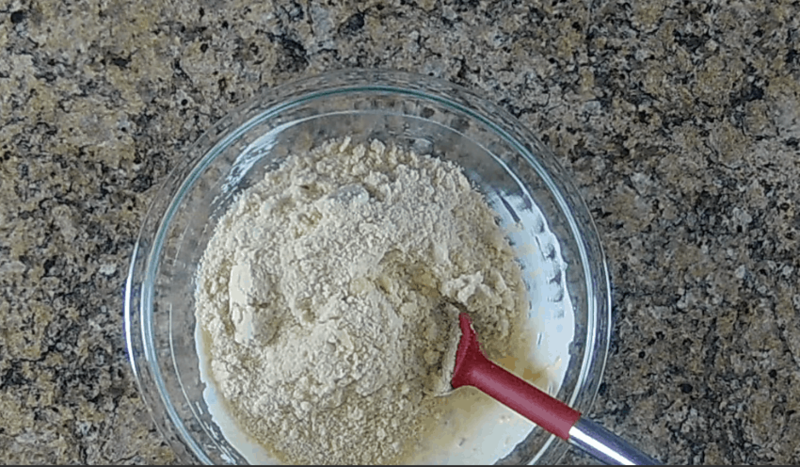 I use it in so many recipes, because of the amazing texture it gives whatever I am baking! It is hands down, the best ingredient I've baked with and is really worth buying. I use Lifesource Foods Oat Fiber 500 and I buy it in the 16 ounce bag on Amazon (link in recipe). The bag lasts a while because you don't need to use much in your recipes. Oat Fiber, is not the same as Oat Flour, which is made from grinding oats. Oat Fiber is made from grinding the outside husks of oats and is pure insoluble fiber. Insoluble fibers do not dissolve in water and are not broken down in the digestive tract. Wow! 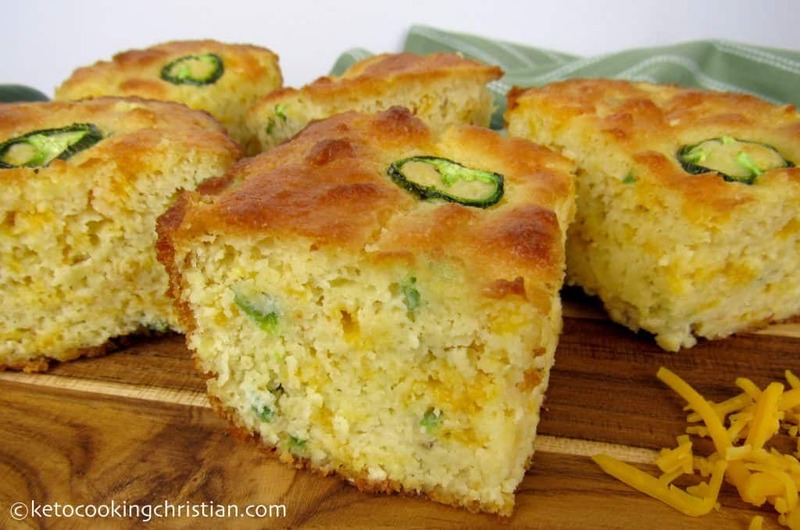 I made this last night and it was REALLY GOOD CORN BREAD! I haven’t found any low carb bread this good since I’ve been on the low carb diet. Thank you so much! 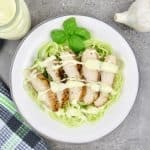 I would love this recipe on no diet at all! I am so grateful to find something I truly enjoy eating that is low carb. Thanks for the great feedback, happy to hear you liked it! 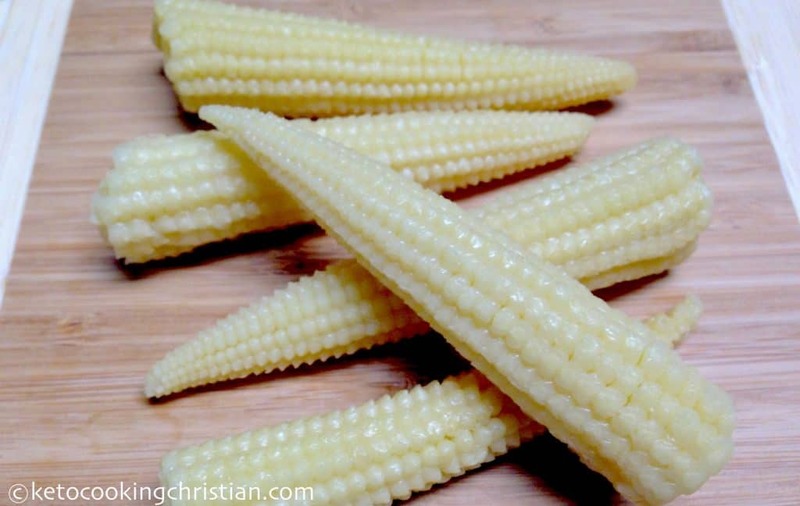 Are you using canned baby corn? Oh, I’ve never seen it like that! I found a can of non-GMO baby corn. Hopefully it will taste good. Thanks!